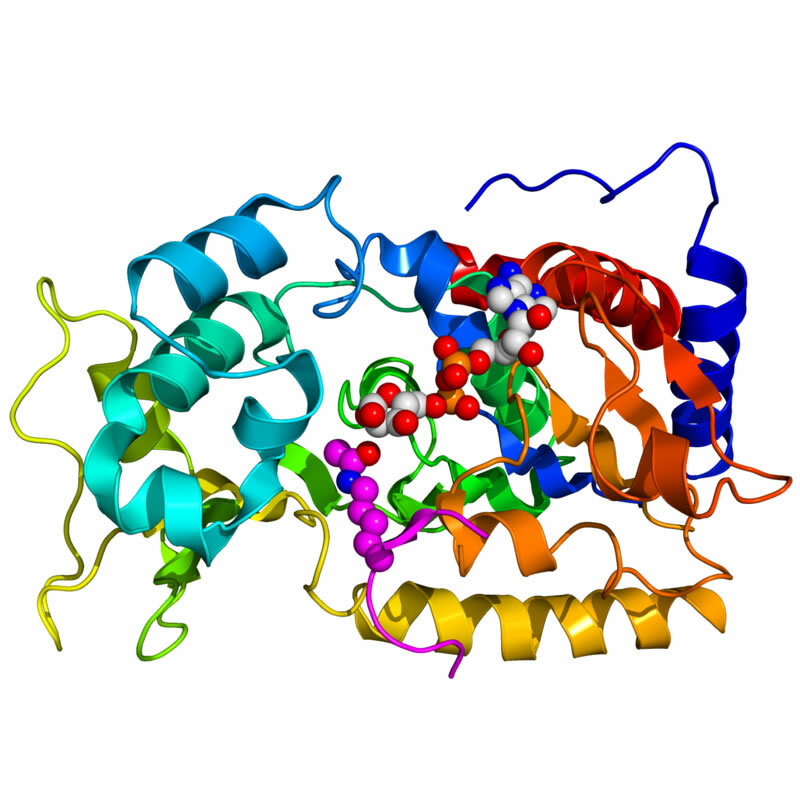 The latest darlings in the world of biochemistry are family of genes called sirtuins, represented most commonly one that goes by the name Sirt2. The sirtuins compose an important part of a basic and ancient genetic stress response system, they are part of a section of DNA that codes and creates proteins, and ultimately chemicals, that for millennia have contributed to our ancient ancestor’s abilities to survive famine, wild animals, and other threats on the great grasslands of Paleolithic Africa. Scientists say that the sirtuins are highly “conserved”, which means that the same set of genes are found in a wide range of life forms with a broad spectrum of evolutionary sophistication, from primitive yeasts to highly developed human cells. The sirtuins can best be thought of as survival genes. The end result of sirtuin activation involves a vastly unader-apprecitated facility for dealing with stress. Sirtuin activation produces anti-cancer substances, anti-inflammatory and immune boosting chemicals, and supports cell energy and overall metabolism. Sirtuin induced synthesis of proteins makes a cell stronger, healthier and more reliant and long-lived. Despite the tremendous importance of sirtuin stimulated health, the relevant link between stress and wellness remains a secret. Why? Because we hate stress! And, we’ll do anything to avoid it. We have created the biggest and most intrusive and oppressive nanny state in the history of mankind simply because we want security and can’t bear to deal with stress of uncertainty. For the same reason, 21st century mankind is mired in addiction to food, drugs, and diversion. The lesson of the sirtuins is that, ironically, the ability to handle stress requires us to undergo stress. Animals that face regular episodes of hunger or starvation develop more efficient energy extraction mechanisms for leveraging whatever caloric intake they can manage to get. In the vegetable kingdom sirtuins in plants that only get watered occasionally stimulate the development of stronger moisture trapping roots. Over past decade, the Sirt family of genes have been increasingly exploited for health and beauty; recently they have caught the attention of the trade journal “Cosmetic and Toiletries” which made the registration of new sirtuin activating ingredients one of their monthly patent picks. Studies show Sirt induced proteins can protect skin cells from aging and amplify their production of chemicals that up-regulate sun protective chemistry. Ingredients like resveratrol, a nutritional supplement and skin care ingredient that can be extracted from grape skins, has been shown to have powerful sirtuin stimulating benefits. And a molecule called quercetin, which is found in fruits and vegetable, has been shown to have beneficial effects on sirtuin activation. Ditto for branch chain amino acids, which are prized by athletes for their muscle building effects, and which may also have a beneficial stimulating effect on sirtuin 2 activation. One of the best ways to take advantage of sirtuin benefits is fasting or caloric restriction (CR). A 2010 study published in the journal “Cell” firmly identified the Sirt genes as being responsible for the many of the health benefits associates with CR. A second paper, this one from from MIT Department of Biology, reported that “Sirt 2 is required for lifespan extension by CR”. And in a third article this one published in the journal “Nature”, earlier this year, the authors determined that Sirt stimulating compounds like resveratrol have health and longevity benefits for a cell that are indistinguishable from those achieved by reducing calories.